Bishop LaDonna C. Osborn is President and CEO of Osborn Ministries International, the world missionary organization founded by her parents in 1949. She is Founder and Overseer of the International Gospel Fellowship, which includes more than 60 ministries, nearly 1,000 churches in more than 50 nations globally. Dr. Osborn is also the Founder and President of the Women's International Network which encourages, educates and equips women for all areas of Christian ministry. She serves on the Board of Trustees of Oral Roberts University of Tulsa, Oklahoma and is the Lifetime Spiritual Advisor of the Christian Women's Fellowship International, based in Benin City, Nigeria. Bishop Osborn also serves on the College of Bishops of the International Communion of Charismatic Churches. Her headquarters church, International Gospel Center, under the leadership of Dr. Chyanna Mull-Anthony is located in Tulsa, Oklahoma. Dr. Osborn's national and international travel and ministry schedule includes: Osborn Gospel Training Seminars, Mass Miracle Evangelism Festivals, Pastors' and Leadership Conferences, Women's and Missions' Conferences, plus Bible School and Seminary lectures. Her Bible and teaching courses, books and audio/video materials are distributed globally. Dr. Osborn's heritage is unique. 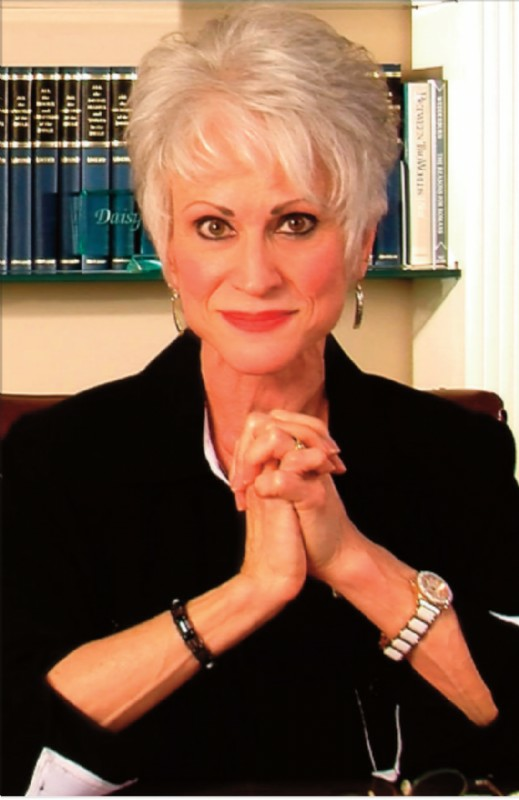 She was raised on the platforms of world evangelism in nearly 90 nations (with her parents, Dr. T. L. Osborn and Dr. Daisy Washburn-Osborn) and since childhood has been totally involved in sharing the good news of Christ with both women and men of nations and cultures throughout the world. While her daughter LaVona Thomas works in the administrative of Osborn Ministries International, her son Tommy O'Dell and wife Elisabeth (TommyRay.Org) continue in the itinerant global ministry tradition of his mother and grandparents. Her son Donald O'Dell and wife Carina (WorldHarvest.Info) continue their church planting ministry in Ecuador from their base in the States. Dr. Osborn is the wife of Cory Nickerson, grandmother to 16 and great grandmother to seven. Dr. Osborn believes that Christ's commission to His Church is two fold: to establish people IN CHRIST (evangelism and instruction), and to establish Christ IN PEOPLE (equipping for ministry). She personifies both a vital commitment to world evangelism and a visible connection to the local church. Through her balanced and Christ-centered leadership, hundreds of men and women have realized their place in the Kingdom of God and are now engaged in effective Gospel ministry. Dr. LaDonna C. Osborn's articulate expression and demonstration of the Gospel, from a broad worldview, teaches faith in Christ and energizes action in Christ's ministry of reconciliation. She sets a positive and inspiring example for both women and men in all areas of church ministry and Christian leadership. Dr. LaDonna Osborn has earned a Bachelor of Arts Degree from Oklahoma City University, a Master of Arts Degree in Practical Theology from Oral Roberts University, and a Doctor of Ministry Degree from the American Christian College and Seminary. She was awarded the honorary Doctor of Divinity Degree from both Bethel Christian College and Zoe University, and the Doctor of Humane Letters Degree and the Doctor of Literature Degree from the Wesley Synod. She has been included in nearly a dozen Who's Who Lists around the world.